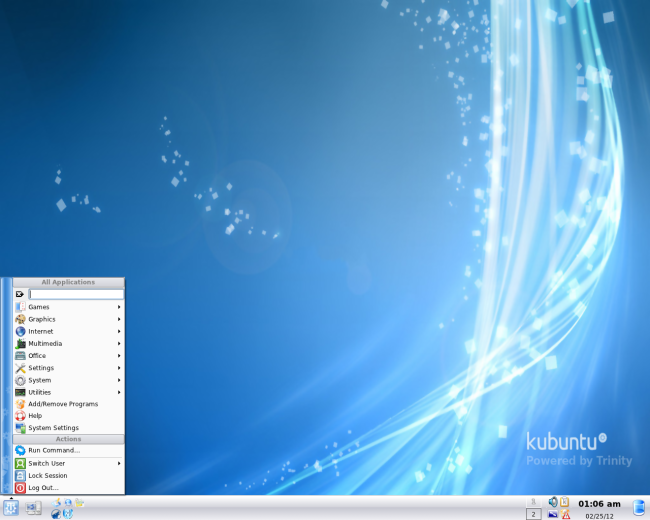 The Trinity Desktop Environment is KDE 3, actively developed and updated. It’s ideal for KDE fans that never took to KDE 4 or anyone interested in what KDE was like. Trinity isn’t included in Ubuntu’s software repositories, but the developers maintain official repositories for Ubuntu, Debian, Red Hat, Fedora and Slackware. You can try Trinity without installing it on your system by downloading a live CD. 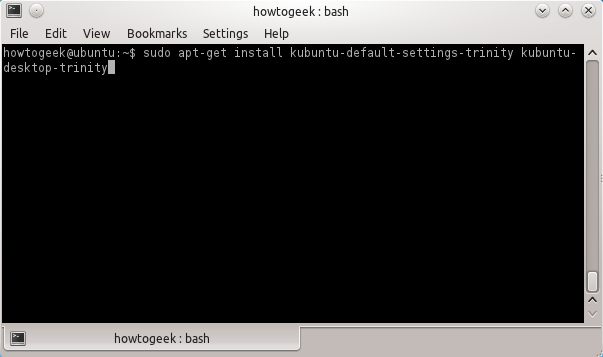 The live CD is based on Kubuntu, but it has Trinity installed instead of KDE 4. 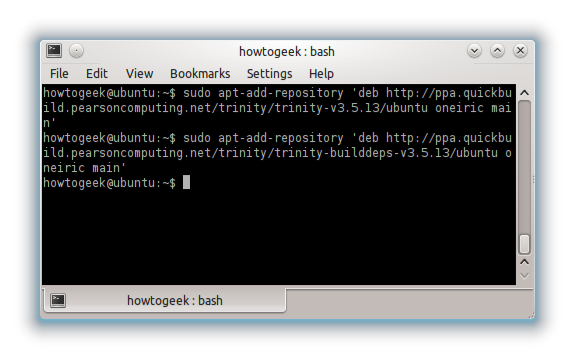 First, open a terminal and add the Trinity repositories to your system. The following commands are for Ubuntu 11.10. If you’re using a different version of Ubuntu, check this page for the appropriate repositories to add. Type Y when you’re asked to continue. After the packages are downloaded, you’ll be prompted to make a few choices. 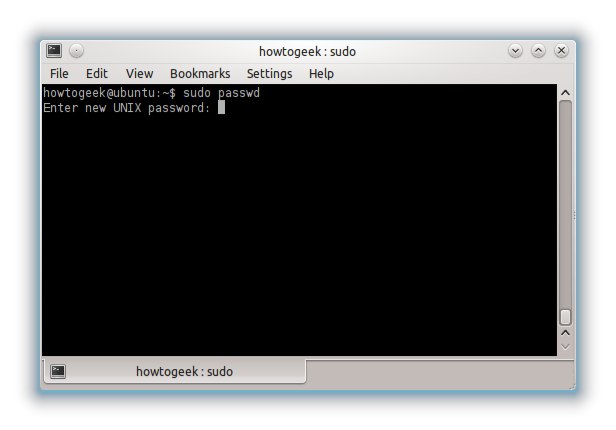 Select kdm-trinity to use Trinity’s login screen, lightdm to use Ubuntu’s login screen or kdm to use KDE 4’s login screen. You’ll see different options depending on which desktop environments you have installed. 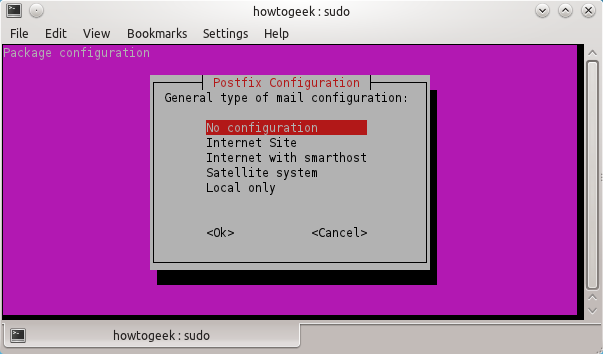 A Postfix configuration screen appears, too — select “No Configuration” to bypass this screen. Log out after installing Trinity and select the TDE desktop environment on the login screen before logging back in. If you selected the kdm-trinity login screen, you won’t see the new login screen until you restart your computer. If you’ve ever used KDE 3, you’ll feel right at home with Trinity. 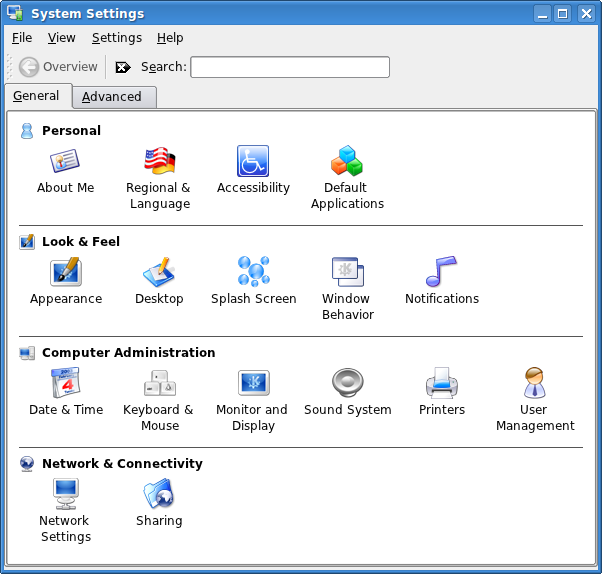 Trinity uses the simplified System Settings dialog pioneered by Kubuntu as its default control center. The powerful, option-packed KDE Control Center — now known as the Trinity Control Center — is also available. Press Alt-F2, type “kcontrol” and press Enter to open it. Trinity includes the Konqueror web browser, file manager and all-around swiss army knife. Once upon a time, it was both KDE’s default web browser and file manager. 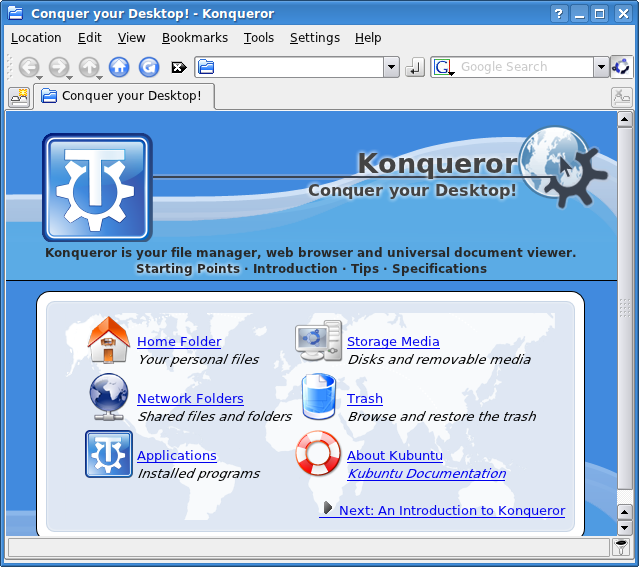 Konqueror sports a tabbed interface. 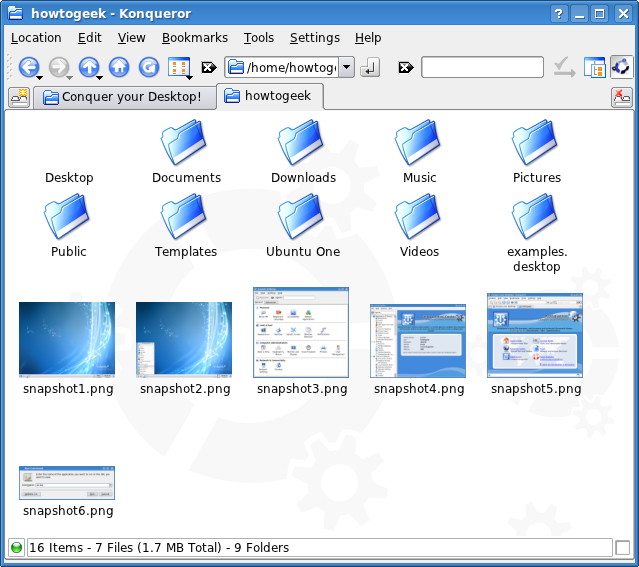 Each tab can contain a web page, file browser or one of Konqueror’s embeddable components, such as an image viewer. Trinity comes with applications from the KDE 3 days, including the much-loved first version of the Amarok music player. The panel crashed a few times while I was playing with it, so you may need to relaunch it. If the panel vanishes, press Alt-F2 and run the “kicker” command to get it back. Trinity probably won’t take the Linux desktop world by storm, but it provides another options for users who were left behind by KDE 4. 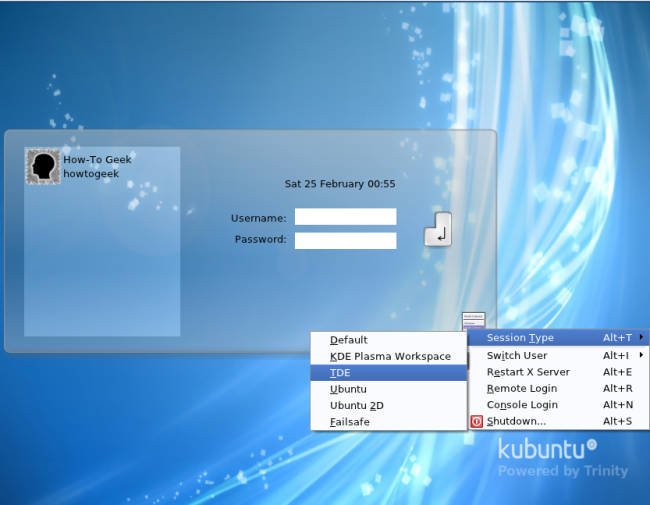 If KDE 3 was your favorite desktop environment, Trinity is for you.